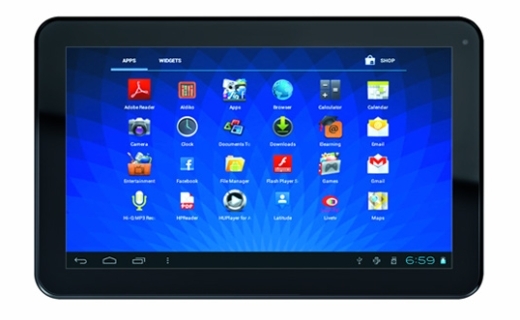 Micromax has officially launched the Funbook Pro that went on sale last month. 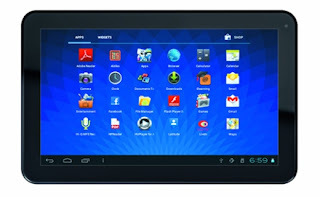 It has 10.1-inch (1024 x 600 pixels) display and is powered by 1.2 GHz Cortex A8 processor. It has 0.3MP VGA front-facing camera and 3G support via Tata Docomo Photon+ Dongle. In addition to their previous partners Everonn, Pearson and Vinti, they have now partnered with McGraw Hill for interactive study materials for students from class 1 to 12 that is available for purchase on micro SD cards separately. 1.2 GHz Cortex A8 processor with Dual Mali 2D/3D Graphics processor. It also comes with Live TV app that lets you watch 48 TV channels and comes bundled with Tata Photon+ that offers 1GB additional data for the first 2 months. The Micromax Funbook Pro comes in Slate Grey color and is available from nCarry for Rs. 9999. It would be available from retail stores across India at the end of this month.